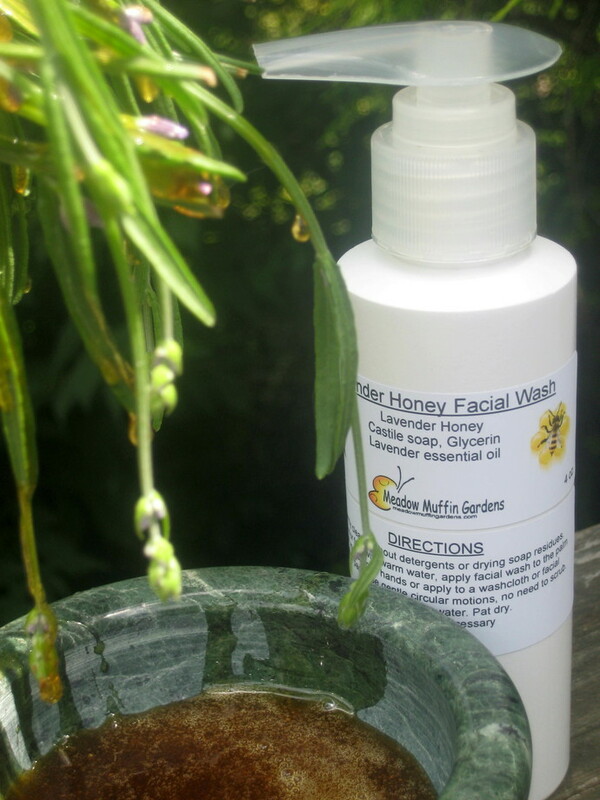 Love our original Honey & Glycerin facial wash? This option is for honey that is first infused in an herbal favorite, lavender. Should you ever visit an apiary take note the condition of the beekeeper's hands during honey season. Most likely they will be soft and smooth. 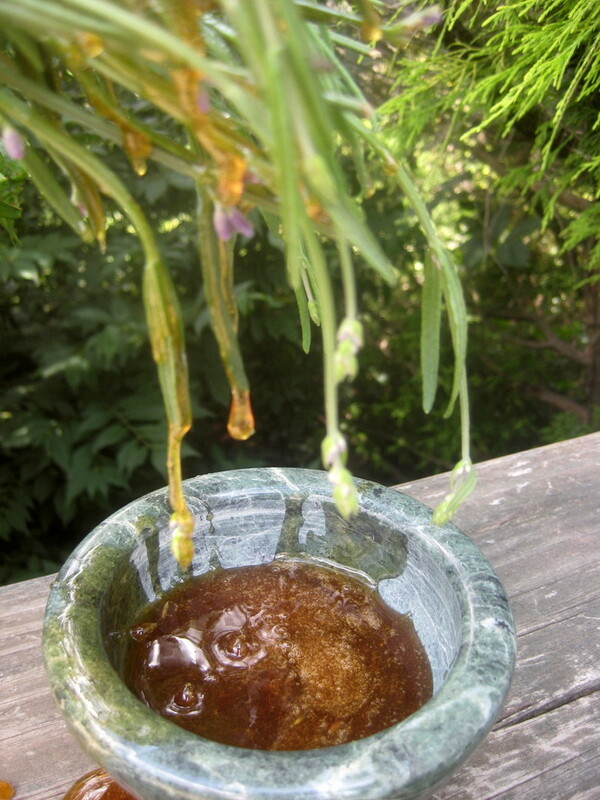 Honey is a natural humectant which means it retains moisture. Exposure to environmental factors and chemical agents hinder our skin's ability to stay hydrated. Not only does honey help dry skin cells to plump up and wrinkles smooth away, it also contai ns natural antioxidant properties that aid in skin rejuvenation. Watch minor acne flare-ups disappear as honey's antimicrobial properties hinder bacterial growth. One of the most versatile herbs, lavender has been used since the ancient Greek and Roman times. It gets its name from the Latin 'lavare', meaning to wash. Its soothing, antiseptic qualities make it beneficial for cleansing and caring for various skin ailments such as acne, psoriasis and sunburn. Containing strong anti-inflammatory and antioxidant qualities, lavender is ideal as part of a facial care routine for sensitive or damaged skin. Besides all that, we know that elevated stress can result in a rough, blotchy complexion. Lavender is known for its calming aromatherapy effects. So clean and improve your skin and calm your nerves at the same time! Lavender Honey facial wash combines the beauty aid of honey with another humectant, Glycerin, and the gentle action of Castile soap. Glycerin is a natural product made from corn and other seed oil crops and is popular in soaps because it doesn't irritate. Glycerin acts as a barrier to lock in moisture, and provides great hydration to the skin In doing so, it helps immensely with dry skin and conditions resulting in itchy dryness. Castile soap is a basic liquid soap without harsh ingredients that strip delicate skin of its natural oils. Last, a bit of lavender essential oil is added to further enhance the fragrance. desired and enjoy your glowing complexion.